Indonesia is an attractitive business and investment destination. Abundant natural resources, a young and technically trained work force and a large and growing domestic market, combined with an improving investment climate and a higher global profile, are just a few of its salient strengths. With stability firmly planted after over 10 years of vibrant democratic rule, Indonesia’s vast economic potential is primed for takeoff. We welcome you as a partner in reaching for a more prosperous future. Indonesia is an emerging global powerhouse in Asia. 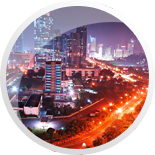 With the GDP expected to reach US$ 1 trillion in 2012, Indonesia is the largest economy in Southeast Asia. Much less affected by the global financial crisis compared to its neighboring countries, Indonesia’s economy grew by 5.7% in 2013, making “The World’s Most Stable Economy in the Last Five Years” according to The Economist Magazine. Indonesia grew by 6.2% in 2012 and in 2014, stronger economic growth is expected around the lower end of the 5.8-6.2% range. Future economic expansion is expected to include more inclusive growth as nominal per-capita GDP is expected to quadruple by 2020, according to a Standard Chartered report. A large part of our economic success is a result of growing middle class and stable economic growth. Indonesia is in list of MINT economies (Mexico, Indonesia, Nigeria and Turkey), namely those that were the most attractive to long-term investors due to their favorable demographic profiles. Indonesia’s debt to GDP ratio has steadily declined from 83% in 2001 to be less than 26% by the end of 2013, the lowest among ASEAN countries, aside from Singapore, which has no government debt. 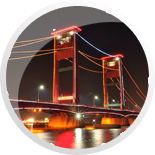 § Fitch Ratings (November 15, 2013): affirmed Indonesia′s sovereign credit rating at BBB- level with stable outlook. 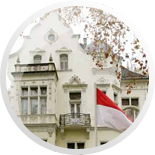 § Rating and Investment Information, Inc (October 11, 2013): affirmed Sovereign Credit Rating of the Republic of Indonesia at BBB-/stable outlook. § Japan Credit Rating Agency, Ltd (July 22, 2013): affirmed Indonesia’s foreign currency long-term senior debt at BBB- with stable outlook. § S&P (May 2, 2013): affirmed Indonesia’s sovereign credit rating, at BB+ level for long-term. Indonesia is a renowned market for resource extraction, seen as even more attractive than for instance, South Africa, Australia and Canada in terms of mineral prospectivity, as per Pricewaterhouse Coopers. 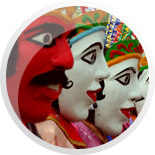 Indonesia is one of the world’s major producer of a broad range of commodities. 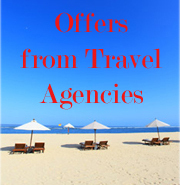 Please click here for key opportunities in natural resources. Indonesia is the 4th most populous nation in the world. Apart from its remarkable fiscal and political transformations during the last decade, Indonesia is also undergoing a major structural shift in terms of demographics. This provides for dynamic labor market participation, growing at 2.3 million per year. A rapidly urbanizing population also provides for strategic pools of labor force in centers of investment. - In the period of 2020-2030, the dependency index will reach its lowest point. - More than 60% of the population is in the working age, providing a dynamic workforce which is one of the highest in the region. 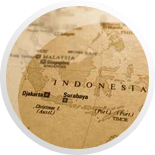 Indonesia lies at the intersection of the Pacific Ocean, along the Malacca Straits and the Indian Ocean. Over half of all international shipping goes through Indonesian waters. Increasingly, Indonesia is playing a more dominant role in global affairs. It is Southeast Asia’s only member of the G-20 and an active voice for developing world’s concerns. Standard Chartered sees Indonesia’s inclusion in the G-7 by 2030, projecting that Indonesia’s economy could be the 10th largest in 2020 and the 5th largest in 2030. Being the leading member of ASEAN, Indonesia shapes integrative approaches in the region for security, trade and commerce, and will be the integral part of the ASEAN Economic Community in 2015. The 2012 ASEAN-BAC Survey on ASEAN Competitiveness collated responses from businesses across all ten ASEAN countries, comprising a mix of small, medium and large firms. A majority of the businesses had been in operation for more than ten years, had trade/investment linkages within ASEAN and had at least general knowledge of ASEAN policy initiatives. Finally, Indonesia is emerging as a key player on cross-cutting international policy issues as climate change and the global financial architecture, which will have direct and indirect impacts on business and investment decisions.